OK, an hour or two after submitting the email to BitDefender in step 9 of my previous post I received a reply saying my automatic renewal for BitDefender Internet Security 2014 has been cancelled. Praise be! BitDefender, if you are listening, please change the way you manage automatic renewals of your product. Allow users to cancel their subscription or automatic renewal from the product page as easily as they can renew them. You are operating in a sector that requires the trust of your users. Engender that trust by making the process honest and transparent. I think your business will benefit from it. Are BitDefender (Avangate/Digital River) behaving like confidence tricksters? I have been a user of BitDefender by Digital River for a few years now. In January of this year I ‘upgraded’ my BitDefender installation to BitDefender Internet Security 2014 subscription. I was surprised to find that today – 19th April 2014 – I was charged £40.46 GBP because my subscription had been renewed automatically. I don’t want auto-renewal of anything and I couldn’t understand why I was being charged again with 281 days left on my subscription. What I discovered is that the subscriptions for the old versions of the product are still in place and are being automatically renewed and I can’t cancel them! This seems to be a trend amongst the anti-virus vendors. I had a similar experience with Kaspersky. These are companies that are operating in an environment where you are inclined to trust them. After all, they are working to protect you, aren’t they? What they are actually doing is making you accidentally sign up for automatic renewals (there was probably some small print and an inconspicuous checkbox on their payment page) and then not letting you cancel the subscription or making it very hard to do so. This post is a description of all the steps I’ve taken to try and cancel the automatic renewal. At this point all attempts have failed but I’ll update this post if I succeed. Please read on and make your own minds up as to whether BitDefender are behaving like confidence tricksters. Suffice is to say, I would advise anybody to avoid BitDefender like the plague. OK, so BitDefender shows me that I have 281 days left. Looks like all my previous products are still active. I don’t use them anymore because I’ve upgraded to the 2014 version so how can I cancel the automatic renewals? Well, not on this page and there are no instructions here either. Isn’t it reasonable to expect to see a button allowing you to cancel a subscription? After all they are very keen for you to renew. Even a little link next to each subscription would be a help. What? Incorrect order number and/or password? OK, lets try the ‘forget your password link’ to see if it’s the password. This gives me a form asking for the order number again. No problem, I enter the order number, click Submit and it sends me an email. Never mind. Let’s try logging in. Now take my word for it, it doesn’t matter what password I use (my BitDefender password or the one they sent me in the email previously) I get the same thing: “Enter a valid email address”. It could be that it’s bad validation but by now I’m getting suspicious. OK, where’s the 2014 product (I have a 2014 subscription listed on the product page)? And take my word for it clicking “the full list of products” link doesn’t list it either. Oh well, let’s use the 2013 version for now and see what gives. What you get is a nice form to fill in. The problem is, there’s no 2014 version of the subscription listed but the automatic renewal I want to cancel is listed as BitDefender Internet Security 2014, not 2013. Anyway, I have submitted this form a number of times, once for each ‘version’ I have asking for automatic renewals of my subscriptions to be stopped. I have also submitted an extra one listing all 3 of the products I own asking the same. Now I don’t know where this form goes but I haven’t even received an automated response and as far as I can see nothing has happened. But really, why do I have to go through all these pages to try – and fail – to cancel a subscription or an automatic renewal when all subscriptions are listed on my product page? Why oh why can’t I do it there? Why should I have to contact support for this? Anyway, this hasn’t worked so what can I do now? Getting desperate I do a Google search with Bing and find a link to an eHow page that suggests going to http://shop.BitDefender.com and completing some simple steps. Now the steps aren’t right; it looks like the article is out of date. So, I ended up clicking Contact Us at the top of the page and then SUPPORT but that gets you right back to the support page from step 5. Bummer. But yet again there are no ways to cancel subscriptions or automatic renewals. Well, it goes nowhere. You stay on the same page. OK, now I can’t remember how I found this page. It looks like the page that the eHow article was suggesting in Step 6 but I can’t remember how I found it. Anyway, I completed the form but it absolutely will not submit it because it tells me that no orders were found! Now remember this is using the order number I was given in BitDefender’s automatic renewal email. Funny that. The same order number worked in step 3. You really do have to question if any of this is accidental. Well, on the mystery page in Step 7 there was an email address listed (customerservice@bitdefender.com). So, I sent an email to that address. OK, guess what came back. Now remember this was an email address taken from a publically accessible page on the BitDefender web site. We use StyleCop to implement some of our coding standards. 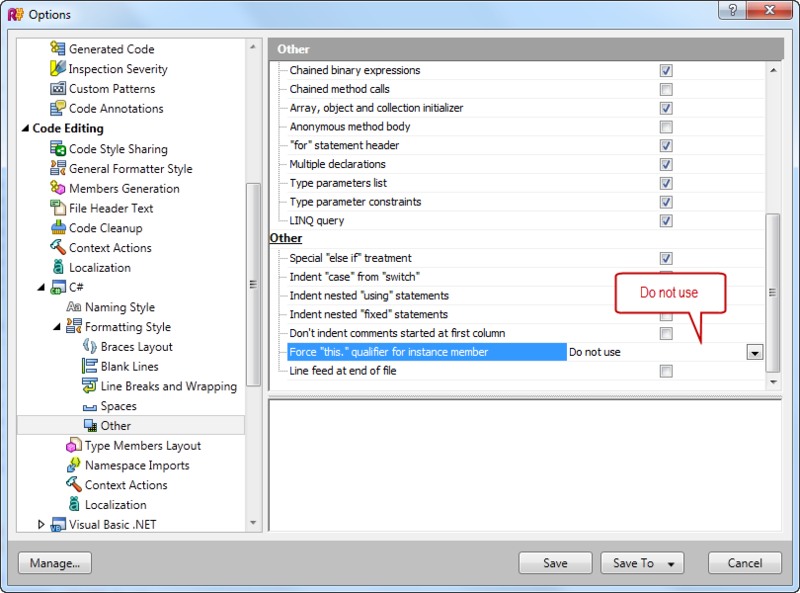 Although in the main we use StyleCop defaults there are a few exceptions for which we have created custom rules. 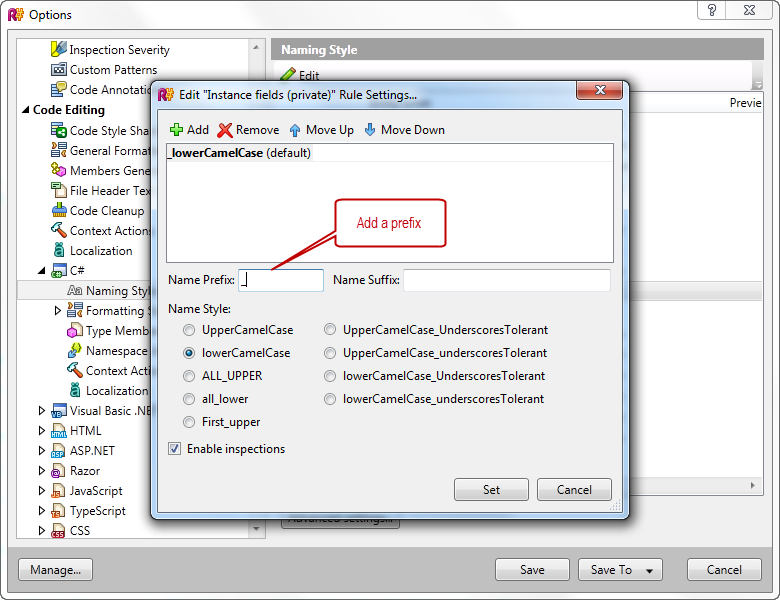 I found that some of ReSharper’s formatting and layout rules clash with our StyleCop rules. What follows is a description of how I set about changing a couple of those ReSharper formatting and layout rules. There may be arguments for putting using directives inside the namespace but our standards – and my preference - require they appear at the top of the file. I’m not alone in this. In Visual Studio go to ReSharper > Options. 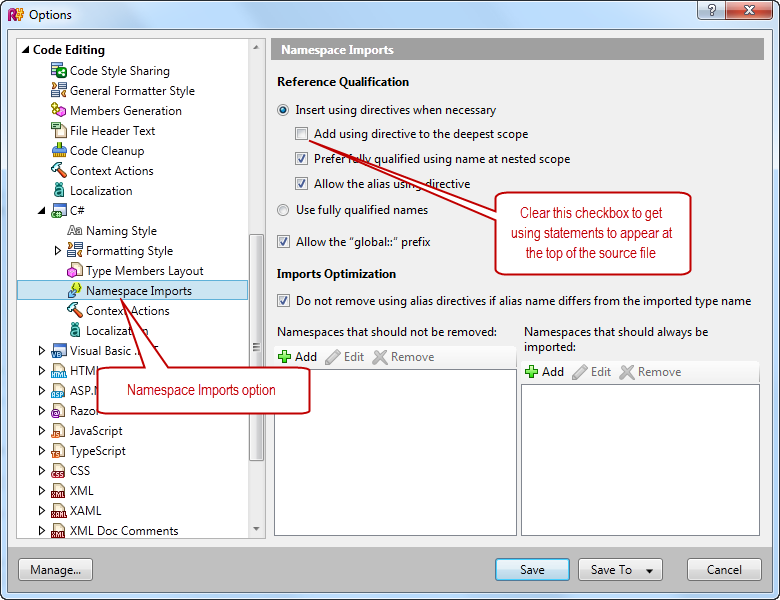 Navigate to Code Editing > C# > Namespace Imports. Deselect “Add using directives to the deepest scope”. 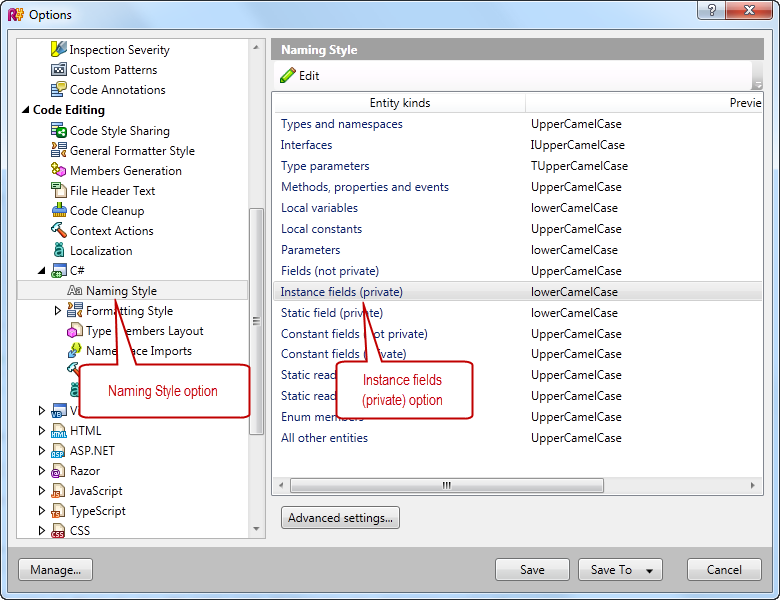 Navigate to Code Editing > C# > Naming Style. Double-click on “Instance Fields (private). Add a Name Prefix and click Set. Navigate to Code Editing > C# > Formatting Style > Other. Scroll down to "Force "this." qualifier for instance member" and select "Do not use" from the dropdown list.